BATON ROUGE — There he was in the signature black Panama hat in the late afternoon shadows behind home plate of the brand new Alex Box Stadium. 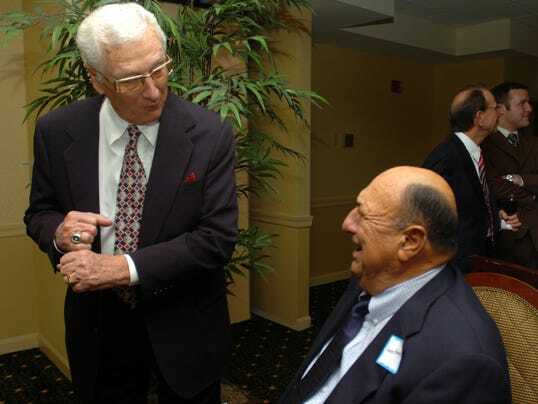 It was Mel Didier, one of Major League Baseball's preeminent scouts for the last four decades who either signed or played a prominent role in the careers of such stars as Kirk Gibson, Mike Piazza, Eddie Murray, Andre Dawson, Gary Carter, Steve Rogers, Reggie Smith and Ralph Garr, among others. An LSU pitcher who threw at the old Alex Box Stadium and was part of the Tigers' 1946 Southeastern Conference championship team, Didier was back in town for the opening ceremonies at the new Alex Box the night before — Feb. 20, 2009, as LSU beat Villanova, 12-3. He was in the ballpark again on the next day, Saturday, Feb. 21, to watch another game in hopes that one player in particular would get to play, though he was not scouting this one. It was his grandson Beau Didier, a freshman infielder for LSU who had just seriously injured his elbow and was facing reconstructive surgery and a season out of baseball. But LSU coach Paul Mainieri wanted to give Didier one at-bat before undergoing the knife and the rehabilitation, particularly with his legendary grandpa in town. So Didier walked to the plate in the eighth inning with LSU leading Villanova, 9-1. "I still remember looking up on the concourse before I got in the box, and he was standing up there with that big Greg Norman hat he wears," Beau Didier said last week. "I could see his silhouette." Many ballplayers in big and small ballparks over generations have seen that silhouette. Mel Didier was honored last fall with a "Legends In Scouting" award in Los Angeles. 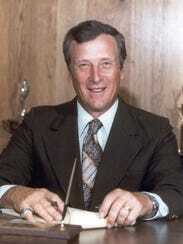 He was inducted into the Louisiana Sports Hall of Fame in 2003. "I don't know of anyone who has been in more baseball parks throughout the world," former Los Angeles Dodgers general manager Fred Claire once said about Didier, who worked for the Dodgers in the 1980s. In 1988, it was Didier's scouting report to the Los Angeles Dodgers delivered the day before the World Series opener against Oakland that tipped off one of the most famous home runs in Major League Baseball history. Didier had noticed that Oakland superstar closer Dennis Eckersley tended to throw a backdoor slider on a full count if first base was open. That was the scenario in game one on Oct. 15, 1988, in the bottom of the ninth when Dodgers' ailing outfielder Kirk Gibson entered as a pinch-hitter with two outs and Mike Davis on first to face Eckersley with Oakland up, 4-3. Gibson, who had been receiving treatment on both injured legs while watching the game in the locker room, fought the count to three balls and two strikes, and Davis stole second, leaving first base open. The left-handed hitting Gibson remembered what Didier said, and sent that back door slider over the right field wall to give Los Angeles a 5-4 win. The Dodgers went on to win the World Series four games to one with Gibson never batting again in the series. It was not as famous of a home run, but Beau Didier seized his moment, too, and hit a two-run home run in front of his grandfather for an 11-1 LSU win, and the Tigers went on to win the 2009 College World Series. "It was great. Coach just wanted to get me that one at-bat, and my grandfather was there to see it," Didier said a year later. "How about that? I was elated," Mel Didier said this week in a phone interview in between ballpark visits. "I need to get back down there and see him play some more." Didier, 83, is still scouting, still heavily involved in Major League Baseball as a special advisor for the Toronto Blue Jays. "I'm going to try to get down there," he said. Beau Didier has returned to the 2010 Tigers as as a redshirt freshman. He has played in 18 games and started eight at third base, which has featured four starters in the last five games. Didier is hitting .229 with five RBIs and a double. He has not started since going 0-for-3 against Georgia a week ago Saturday. Mainieri started Wet Delatte at third in the Tigers' 14-10 win at Auburn on Friday night and again on Saturday afternoon. Grant Dozar started the third game against Georgia last Sunday and against Southern Mississippi on Wednesday while Kyle Koeneman started against Alcorn State on Tuesday. In a 4-3 win over Georgia on Friday, April 2, Didier hit a two-out single to give the Tigers a 4-1 lead in the sixth. His father Bob Didier, a rookie starting catcher on the National League West champion Atlanta Braves in 1969 and now an assistant with the Arizona Diamondbacks, watched that game from Thirsty's bar in Tucson on ESPNU. "That's my son," Didier said he yelled after Beau's RBI single. "I was high fiving with total strangers." Beau Didier at LSU represents a completion of a circle that started six decades ago when Mel Didier went to LSU as a football and baseball player out of Catholic High School in Baton Rouge. In 1944 and '45, Mel Didier was a center on the football team who snapped it to quarterback Y.A. Tittle. He pitched at LSU in 1946 and '47. Later drafted by the Detroit Tigers, Didier never made it to the big leagues as a player after injuring his arm. He kept his hand in MLB, though, when he returned to Baton Rouge as head basketball coach and assistant football coach at Catholic High in 1950 by becoming a part-time scout for Detroit. He had started a family by now that included Mel Didier Jr., who now is head coach of the Northside High baseball team in Lafayette, and Bob Didier. "I grew up in Baton Rouge and still have a lot of friends there and sisters in the Baton Rouge area," said Bob, who went to Glen Oaks High in Baton Rouge when his dad was the coach there. The Didiers lived in Opelousas when Mel Didier was football coach, basketball coach and athletic director at Opelousas High from 1955-61. Mel Didier also was an LSU freshman football coach under Charles McClendon in 1966. Didier became a full-time MLB executive in 1969 when he became scouting director for the expansion Montreal Expos, and the rest is history. Didier has kept ties with Louisiana, though, and he even exited MLB briefly in the early 1980s when he became head baseball coach and athletic director at Louisiana-Lafayette. So when Bob Didier had a son on Dec. 26, 1989, it made sense to name him Beau and not Bo, even though that was a strange name in Seattle, where Bob Didier was the third base coach for the Mariners. "We wanted to give him a little French heritage," he said. "Beau is a good French name." Beau Didier was recruited by Washington, Washington State, Notre Dame and Hawaii as a senior at Bellarmine High School, but he had visited family in Louisiana for so long that LSU was very much in the picture. "I always thought of playing for LSU," Beau Didier said. "They have so much tradition and have been good for so long." It didn't take long for Didier to make his decision on his visit to LSU. "He got blown away on his recruiting visit," his dad said. "It's a great baseball school - one of the top five or six. In the middle of his visit, he called and said, 'I'm going to LSU.' He was kind of swept away. And his grandmother (Mary Ellen Didier) lives in Baton Rouge and some of his aunts. When he decided on LSU, it was like he was going back home." Mel Didier could not have been prouder. "It was a great thing when he signed with LSU," Mel Didier said. "I always kind of figured he'd go to LSU. He should be down there when you think about it." Now, Didier just needs to find his game before dad and grandpa visit again. "It's been tough," he said. "I don't want to make excuses, but I'm not feeling normal again after the surgery. I've got to make the most of it, though. I've been too anxious at the plate lately. I need to slow the game down. It's been difficult." Summer ball will be key for Didier, who is not expected to play regularly this season. "He needs to get 150 at-bats this summer, and we'll see what kind of ballplayer he is," Mainieri said. "He has talent. He should be all the way back from the injury." Dad and grandpa each say Didier needs to tough it out. "He wishes he was playing better, but the competition he's playing against is the best in the country. He's got to hang in there," Bob Didier said. "At a place like LSU, you have to wait your turn and take advantage of your opportunities when you get them," Mel Didier said. "He's got plenty of time. He's having a tough time right now, but he has to battle through. The thing about the game is it will always give you a chance."